Rich Roast is remarkable coffee: a classy beast, a bit of a brute. This is coffee with absolute attitude. Imagine a sweet, liquorice-toffee aroma. Add a rich scented burst of flavour - this coffee has it all. There is a profound depth, an extraordinary roundness, and a powerful finish. Ideal for use in any cafetière, filter machine or jug. All the coffee is non GM. 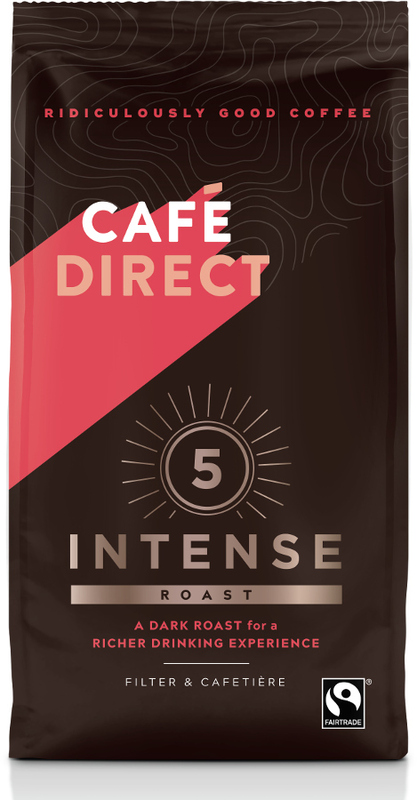 The Cafedirect Intense Roast Fresh Ground Coffee - 227g product ethics are indicated below. To learn more about these product ethics and to see related products, follow the links below. Great for those who like their coffee strong! 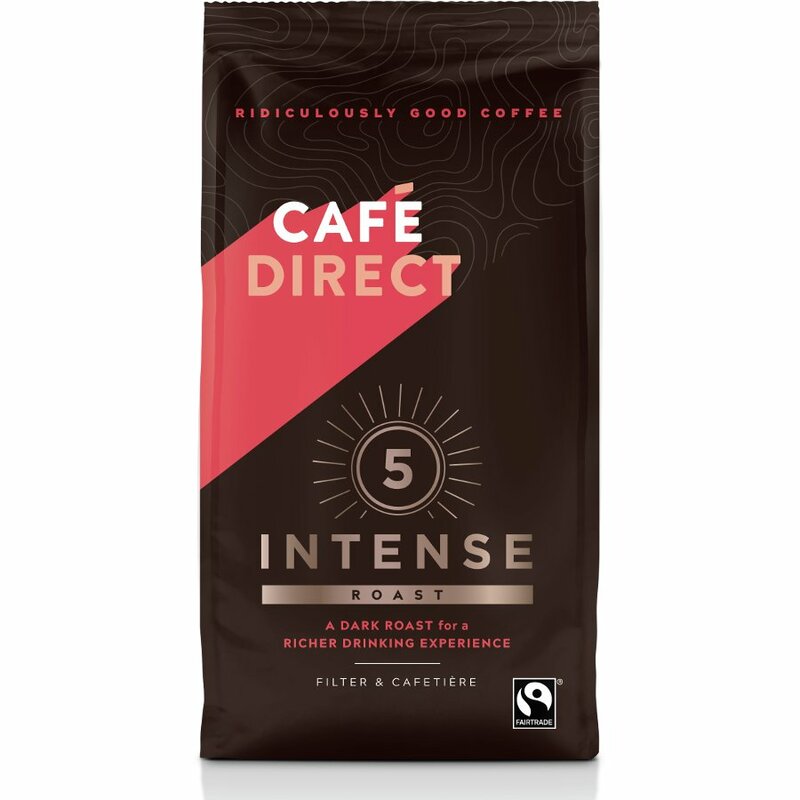 Please could you advise when the cases of cafedirect rich roast strength 5 are likely to be available as I'm an avid fan! A: Hi Abi, we don't have a confirmed date at the moment - we expect it will be within the next few weeks. Robyn. 3 out of 4 found this question and answer helpful.